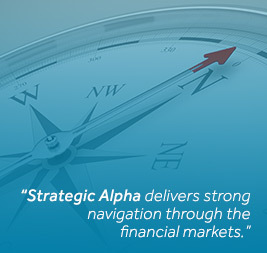 From its offices in the heart of the City of London, Strategic Alpha delivers strategy from the heart of the company. With years of experience behind the team from all asset classes, they understand the linkages between the different markets and the influence they have. The awareness of this connectivity coupled with a strong understanding of risk taking and economics has produced a rare brand that has developed a strong following from the professional risk taking community. 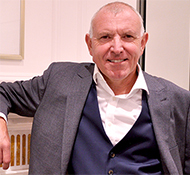 In the founder, Maurice Pomery, himself a thirty year veteran with experience of trading in many assets classes, they have a spirit of understanding that traders and money managers can relate to. He and his team are fully aware of the pressure and hurdles money managers face on a daily basis. With such a diverse customer base of professional traders and money managers, the company only suggests trading ideas, as it is fully aware of the different risk appetites of its customers. and the influence they have. The awareness of this connectivity coupled with a strong understanding of risk taking and economics has produced a rare brand that has developed a strong following from the professional risk taking community. Strategic Alpha Limited speaks and understands the language of the risk taker and works tirelessly to highlight the opportunities within the market place. Copyright © 2009 Strategic Alpha Limited. All rights reserved. The Strategic Alpha logo are registered trademarks or trademarks of Strategic Alpha Limited.